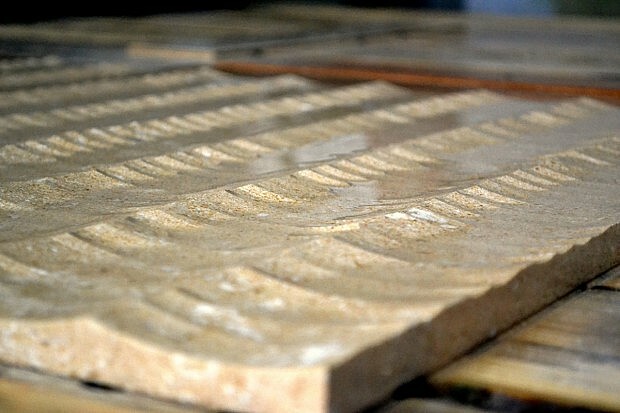 The technological innovation which has influenced and radically affected habits, customs and views – especially over the last 20 years – has also changed to a certain extent the approach to stone from many perspectives: extraction, production, logistics, design, applications, technique and styling. Although to a probably lesser extent, this evolution has had an impact on the very perception of the material itself. It is easy to understand why an entrepreneur in general, and specifically a stone entrepreneur, would always look to the innovative techniques with interest and attention where the optimisation or the implementation of an existing process – and therefore useful to the creation of an already commercially effective product – have proven successful in an increased margin, in greater production speed, in lower energy consumption levels, in a different usage of labour. Progress in this sense has been an excellent seductress: an entrepreneurial decision is so much simpler when the cost/benefit ratio of an investment is quite evident. On the other hand, a different, more in-depth and complex analysis of what could make up a strategic potential for the company continuity involves and enables a vision of technology as a means of production differentiation. Indeed, for processing companies, maximising performance – which is a constant, unwavering and fundamental objective for the company – must cohabit every day with the necessary process and product innovation, which can be achieved at the highest levels when technology and design are connected and directed together towards achieving a shared and specific goal. How does this come about? Stone entrepreneurs must never stop being ‘marble workers’, witnesses to the values that stone possesses and can express, but similarly they cannot at the same time avoid being innovative, to retain its image and its very raison d’être: hence the need to embrace design as a development factor. They also have to justify their activity economically, and the new technologies also make it possible to achieve the production capacity and cost-effectiveness goals which give a design object a commercial validity, qualifying it as a genuine “product”. Stone design ensuing from research and technological application is therefore to all intents and purposes a powerful element of competitive edge, so much for those who see stone as a simple construction material. Product differentiation understood as styling, functional and applicative innovation that cannot be reproduced in the absence of technology, extreme implementation precision and constant quality standards (which would be difficult to achieve with manual processing), as well as the high production capacity, reduced downtime and the control of costs and prices: these are all features that ensue from this approach, and which combined allow the company to emerge and take a leap forward from the past and from its competitors, guaranteeing those who decide to purchase that excellent value which allows them, in turn, to benefit from the utmost functional, styling and emotional return.